Slightly to my surprise, following a sudden impulse, I found myself at the zoo in Basel recently. Wandering along excitedly thinking “Lions and tigers and bears!” and wondering if there were elephants anywhere, I noticed a heavily tattooed and pierced mother with her little boy, age three or so. I was debating whether to accost her and enquire about elephants (she had a map) when the boy asked her a question. Instantly angry she snapped back at him, swearing loudly: “Because we f***ing left it at home, that’s why!” His face fell a mile. She was glowering, furious. I felt bad for both of them. How different it would be, I thought, if either one of them knew EFT. She could have used it earlier, to ward off her mounting frustration, and the snap might never have happened. He could have used it to clear his sadness. There and then, trotting along the path behind her, he could have had an immediate way to feel better. I fleetingly considered telling them about it (I’m a certified EFT practitioner) but it didn’t seem like quite the right moment, so I asked about the elephants instead. She looked rather shocked to be addressed in English, but I smiled hugely as if to convey “Don’t worry I swear at my children all the time!” and she relaxed slightly and kindly pointed me in the right direction. The little boy was looking distinctly woebegone; I gave him a huge smile too. I used to rush in where angels fear to tread; nowadays I’m slightly more circumspect. It’s hard, though, when you know something would help. 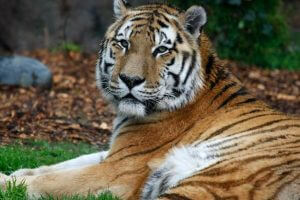 Maybe the lady at the zoo will be lucky, and will bump into EFT on her own. I hope so. There are many possible pitfalls along the parental path and this simple technique can make the journey so much easier. 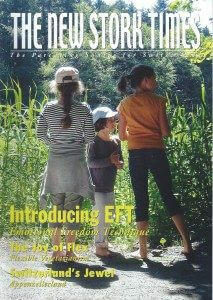 If childhood were always a breeze, a piece of cake, a walk in the park, our kids might not need EFT. In reality, though, growing up, going to school, dealing with different cultures, reaching adolescence, can all be hard: there may be bullies along the way, peer pressure, mean teachers, daunting subjects, betrayals by friends, falling in and out of love, exams… not to mention bumps and bruises, scrapes and grazes. For all of these, EFT can help. Dear the lady in the zoo: I hope EFT finds you. Dear parents and children everywhere: I hope you’ll be inspired to find out more, and let EFT—three magic letters!—become part of your life.